It was another great turnout on the Sunday, for the FRA relays in Llanberis, North Wales, hosted by Eryri Harriers. Despite some Toddies running on tired X-Country legs and captain Nick Barber managing to fall over a crash barrier and needing medical attention before the race even started, there were good team results. The men were 9th vets team (Graeme Brown on leg 1, Paul Hobbs and Tony Heron on leg 2, Duane Dixon and Ben Crowther on the navigation leg and Nick Barber on leg 4). 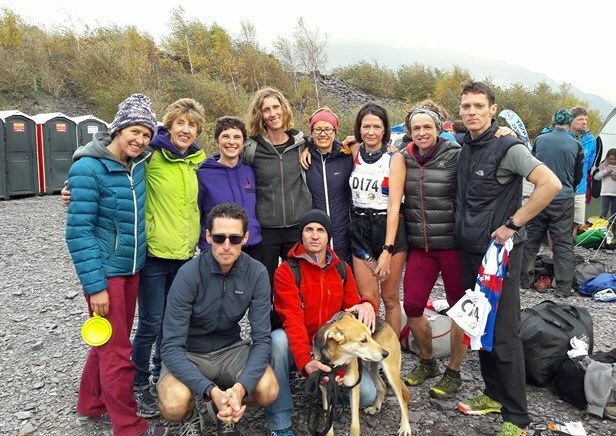 The Todmorden women with Kate Mansell on Leg 1, Rebecca Patrick and Melanie Blackhurst on Leg 2, Claire Duffield and Lucy Burnett on the navigation leg 3 and Lucy Hobbs on Leg 4, had a fantastic end to their fell running season, winning the bronze Women’s Vet prize. This team have had an outstanding season, winning the female vets silver prize in both the British Fell Running Championships and the English Fell Running Championships.